The BFI is an element of the performance-based model for distribution of the new block grants for research to universities. It allocates funding based on the distribution of publications that are based on original, peer-reviewed research published in channels included in the BFI lists. What types of publications are eligible for BFI points? What counts a scientific publication in relation to the BFI? be the product of research activity that complies with academic quality within the field and contributes to development of the research field. be reviewed by at least one peer who evaluates the quality of the publication and the scientific contribution and who meets BFI requirements for peer reviewers. The BFI's operational definition complies with the Frascati manual’s definition of research. The aim of the BFI definition of scientific publication is not to explain what science is or should be but solely to describe the type of publication that is eligible for points in the BFI system. Publication channels (publishers, journals, book series and conference series) that trigger BFI points are ranked at three levels: ordinary channels, level 1, the particularly distinguished, level 2, and from these the most excellent and prestigious, level 3. Publishers can only be ranked on level 1 and level 2, whereas journals, book series and conference series can be ranked on both two and/or three levels. The distribution between the levels for journals, book series and conference series are based on the world production. Each series has a number associated with it called world production, which is a calculation of the average number of scientific publications in the series per year. This number is used to distribute the series within an expert group. Each series world production is added together, and from this a percentage of the series can be put on the three levels. 80 pct. 17,5 pct. 2,5 pct. The expert groups decide every two years which series should be on level 2 and every four levels which should be on level 3. BFI points: how many do publications yield? Publications that comply with BFI’s requirements yield points based on publication type and the level of the channel. Points yielded to co-authored publications by researchers from different universities are divided according to the ratio of the authors. However, cooperation between universities is encouraged by the system and the points awarded to co-authored publications are multiplied by 1.25 before the subsequent division. Peer review must be performed prior to publication. At least one reviewer must be external and unconnected with the publisher. Reviewers must be skilled researchers (i.e. have completed a PhD). The review must address the scientific quality of the work and how it contributes to new knowledge and understanding. 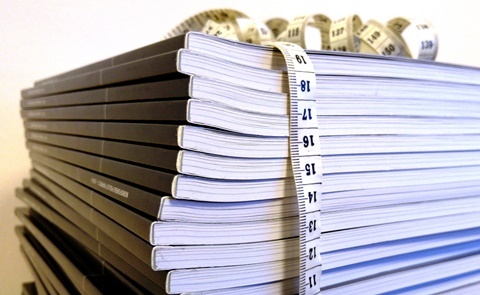 The BFI lists give the publication channels (Publishers, Journals, Book Series and Conference Series) in which publication of research results are awarded points. There are two lists: The BFI list of publishers and the BFI list of series. The Academic Committee has decided that it is only the expert panels, where conference contributions are the primary and final publication form in the research field, that may enter conference series on their part of the BFI list of series. This is due to the fact that conference series was introduced to comply with the special publishing traditions in certain subject areas (originally computer science and related disciplines) where conference contributions are the primary and final publication form, in contrast to the general tradition where conference contributions are an intermediate form of publication. Thus, the channel type on the BFI list of series shall not cover the publication of temporary research results that occur in connection with conference papers or the like. The expert panels have the opportunity to submit a dispensation application to the Academic Committee's treatment, if the publication pattern in the scientific field of the expert panel changes so that they meet the requirements for having conference series on their part of the BFI list of series. Dispensation applications can be sent to bfi@ufm.dk.